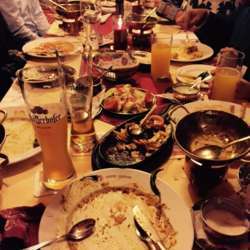 You must be a member of the Frankfurt Curry Lovers Group to attend this activity. Would you like to join this group? Its Curry Time of the month and being the first event of the year this time we go to Protected content where cuisine is to die for ! The reservation is made on my last name, not InterNations! Can't make it? Please make sure to click the cancel button as soon as you know you can't attend. This liberates space for those on the waiting list. Your cooperation is much appreciated!